Packaging serves a number of different functions. Various forms of boxes, bottles, cans, plastic enclosures and pouches furnish protection, primarily, but they also act as advertising for the products they contain. Graphics, text, and even the shape of the containers are each working alongside the protective features incorporated into packages, adding value to merchandising, marketing, and branding efforts. Company logos, slogans and catch phrases, for example, identify consumer goods with their producers and functions, helping shoppers recognize what’s inside, how it is used, and what distinguishes it from other similar products. Labels and advertising also make specific claims about package contents, ingredients, health and nutrition, which can provide substantial marketing benefits. Used properly, the information serves consumers as well as vendors, guiding their choices with valid input. But like other forms of promotion, package claims cannot be advanced without veracity. Producers and packagers share responsibility with other marketers, to bring truthful information to consumers. As integral parts of the consumer process, advertising and label claims are monitored and regulated, to protect end-users from misleading information. While any number of subjective claims can be legally made through labels and ads, there are a few classes requiring oversight by government agencies. In other words, calling a food product “tasty” or “refreshing” provides subjective input for consumers looking for these qualities. These statements are not subject to regulation, because they are innocuous, and likely true to some observers. Saying something contains an abundance of particular nutrients or is capable of curing a medical condition, on the other hand, could have real consequences for end-users, if invalid, so such claims fall under scrutiny of oversight agencies. Health Claims – These claims indicate consumption of a food or supplement product will decrease the likelihood of the user contracting a particular disease or condition. In the United States “significant scientific consensus” was once required to put forth such claims. In addition to stated claims, those implied using third-party references and even symbols, like a heart caricature, fall under FDA guidelines. Health claims, which must be approved by the FDA before being used, cannot make erroneous claims about treatment, cure or diagnosis, and risk reduction claims are subject to FDA review. Nutrient Content Claims – Quantitative claims about product contents are not valid until approved by appropriate agencies. Beyond nutrition labeling, claims of “high” and “low” in respect to ingredients and properties must be verified before being included on labels. The size of typeface making Nutrient Content Claims (NCC) is also limited, as well as the number of times the same claim may be repeated on a label. Qualified Health Claims – In support of general consensus indicating consumers benefit from access to as much information as possible, the FDA adopted the Consumer Health Information for Better Nutrition Initiative. Under the initiative, and with the support of court rulings, certain claims may be made without meeting the past standard of scientific agreement. As long as they do not mislead consumers, it is felt that some claims can be reasonably beneficial to users without full scientific endorsement. The 2003 initiative provides interim status for QHC, as the FDA continues to gather data toward establishing permanent policy. Structure/Function Claims – The Dietary Supplement Health and Education Act (DSHEA) provides for certain claims to be made about the role of nutrients, as well as information about particular supplement ingredients. 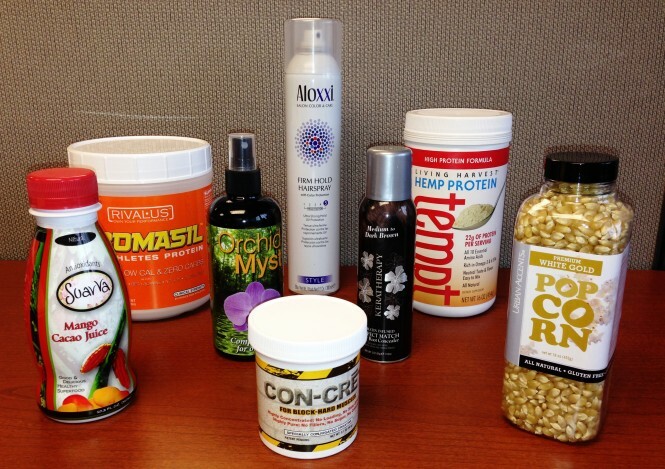 Since its inception in 1994, DSHEA has been modified multiple times, responding to the evolving supplement market. The Division of Advertising Practices provides consumer oversight for many forms of advertising, particularly those with health and safety consequences, as well as advertising capable of causing economic harm. Enforcement is conducted through a combination of court actions and suits against questionable practices. Among the division’s enforcement priorities is fighting fraudulent claims and deceptive practices labeling supplements and weight-loss products. And another targeted effort addresses food advertising specifically aimed at children – in the context of childhood obesity. Various facets of the dietary supplement industry are addressed by laws, regulations and guides applied by the FTC. Identifying and substantiating claims are central to FTC goals, so its supplement industry guide outlines the process for interpreting ad meaning and proving claims made. For example, the amount, type, and quality of evidence are considered when evaluating claims, as well as the specific relevance of the proof, to a particular claim. Does Gray Area Lead to Meaningless Claims? Certain claims have been challenged by regulators, but do not fall entirely outside allowable parameters. Claims like “natural” and “handmade” have recently become more popular, appealing to consumers desire for artisanal and healthful goods. Unfortunately, such terms are treated inconsistently, so they do not provide valid information for consumers exposed to advertising and labeling. Claims like “Doctor-recommended”, “made with whole grains”, and even “free-range” are further examples of common statements made without true regulatory confirmation. As opposed to legitimate claims like “organic”, which requires producers to become certified, unsubstantiated claims should be viewed by consumers as marketing tools, rather than facts. Although labels and advertising can be put to good use, sharing vital information with end-users, certain claims must be balanced with oversight. Through FTC and FDA measures, claims are vetted for truthfulness – especially those pertaining to health, nutrition and function. Despite gray areas in regulation, the government agencies lend credibility to marketing efforts, ensuring most claims are fact-based.